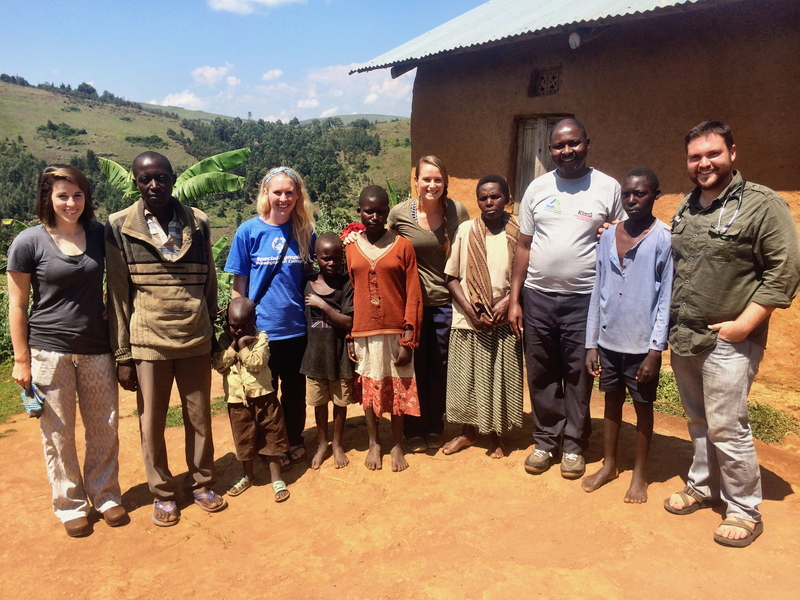 Alana D’Onofrio participated in CFHI’s program Exploring HIV & Maternal/Child Health in Kabale, Uganda in September 2014. She is an aspiring physician assistant and recent graduate of Northern Arizona University, where she majored in Biomedical Sciences. Q. How did you hear about CFHI? What attracted you to the Uganda program? I heard about CFHI through the study abroad program at Northern Arizona University. CFHI was highly recommended to me. It had always been a passion of mine to volunteer in Africa and experience the culture there—that is what attracted me to the Uganda program. Q. What were your goals going in to the program? How did CFHI help you in achieving those? My goals going into the program were really to gain knowledge—whether that be medical or healthcare knowledge, or knowledge of a different culture and how people live, eat, dance, work, etc. in a country completely foreign to me. CFHI helped me accomplish these goals. Their partner organization in Kabale has some very special staff members who were willing to teach me so much. They allowed me to ask any question, explained everything about the people of Uganda and their culture, and made me feel very comfortable. Q. How did the program impact you? The program impacted me greatly. It solidified my goals of wanting to go into a healthcare career because I learned how much I love working with patients. I also feel more worldly. I now know so much about a country in Africa where very few Americans travel to. I know about the people, the food, the music, and the languages of Uganda. I saw how amazing the people that live there are, how simply they live, and how much they enjoy life no matter how hard it is. The people there inspired me to live my life like them and to never take anything you have for granted. Q. What were the highlights of your experience? I have so many highlights of my time in Uganda. One highlight would be heading down to the clinic everyday, excited to see the staff and looking forward to what I was going to learn or see that day. The relationships that I established with the staff are another highlight. We had amazing conversations and always had so much fun. Other highlights include traveling to villages for outreaches to treat people who could not make it to the main clinic in Kabale, hiking the Muhavura Volcano in Kisoro, and going on a safari in Queen Elizabeth National Park. Q. How has the program changed your perception of health? I now understand the diversity of health. 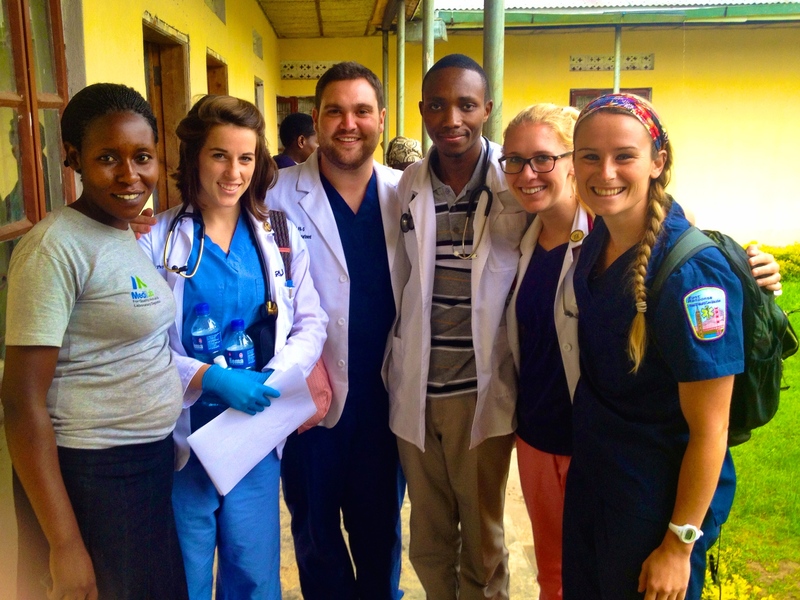 Health in Uganda is very different than health in America, yet there are many similarities. There are diseases unique to East Africa that I was able to see and study. There are also differences in the way people are treated and diagnosed for these conditions. The diagnostic tests in Uganda are much more limited, therefore many cases are not solved. Certain conditions and diseases that are treated easily in America are not easily treated in Uganda and are sometimes fatal because people do not have the money to pay for healthcare services or because they wait until that last minute to get checked out. The most inspiring person I met was Allen. He is a medical officer who works under Dr. Anguyo at the KIHEFO clinic and he is the preceptor who I shadowed. He has such a passion to help and treat others. The clinic is very understaffed and Allen wants to go back to school to become more qualified in certain areas such as radiology, so that he can help the clinic even more. While he treated patients, he was so patient and always took the time to explain things to me. Overall, he was a great teacher and such a passionate healthcare worker. Q. How has your worldview changed? I knew so little of Uganda and even the continent of Africa before my trip. Africa is not at all like what is portrayed of it on the news. Obviously there are parts with war, disease, and extreme poverty, but there are also amazing things about Africa that I was able to see. I no longer associate one country of Africa with the whole continent. Each country is unique. Special thanks to Alana D’Onofrio for allowing us to interview her for this post. This entry was posted in Global Health Education, Global Health Elective, medical electives, study abroad, Volunteering internationally and tagged cfhi, child family health international, clinical rotations, competency based education, cultural immersion, Global Health Education, Global Health Immersion Programs, global health internship, health science students, healthcare in Uganda, HIV/AIDS in Uganda, international health, international volunteer, Local Experts, maternal and child health, medical elective, public health program, rural rotation, southwestern Uganda, study abroad on December 8, 2014 by Jessica Evert, MD.